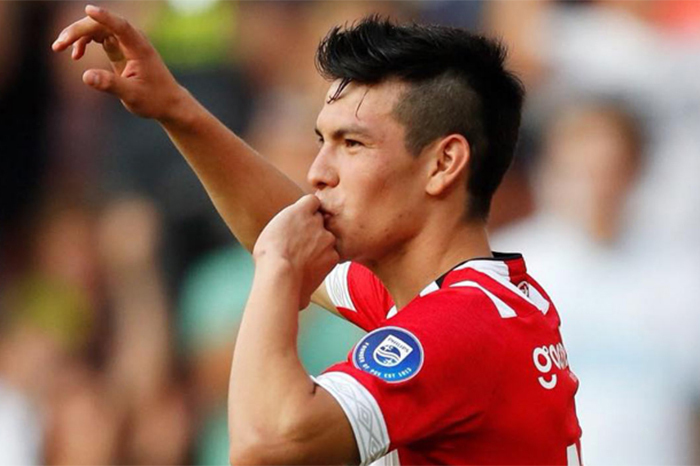 Red Devils keen on signing PSV winger Hirving Lozano and ready to compete with Napoli, Chelsea, Milan, Arsenal and Liverpool for the footballer. Man United have problems in the front-line as Alexis Sanchez is in terrible form, Marcus Rashford linked with several clubs and their replacement are necessary. Mexico international is the best choice in this situation as he has a fantastic campaign and proves his worth one more time. Solskjær will do everything to add him during the transfer window. In this season, Mexican forward already made 34 matches, scored 19 goals and made nine assists in all tournament. It is an excellent result, and he can do much more with high-class teammates. Hirving joined the Eredivisie giants from Pachuca in 2017 with the €8m deal. He became a key figure for the club and scored many vital goals since joining. Lozano has contracted with the Dutch club until 2023, and his release clause is nearly €40m. His price could become much more during this campaign. The 23-year-old attacker regularly plays in the national team and also helped them to reach the playoff in the 2018 Mundial which is already a big success for the footballer. Man United have profound consequences in the Premier League as they are in a fifth place in the table and have a big chance to finish this tournament in top 4. Red Devils also reached the Champions League quarter-final, and they have to face Barcelona in April. English club signed several footballers last summer like Fred from Shakhtar Donetsk, Lee Grant from Stoke City and Diogo Dalot from Porto.